190. 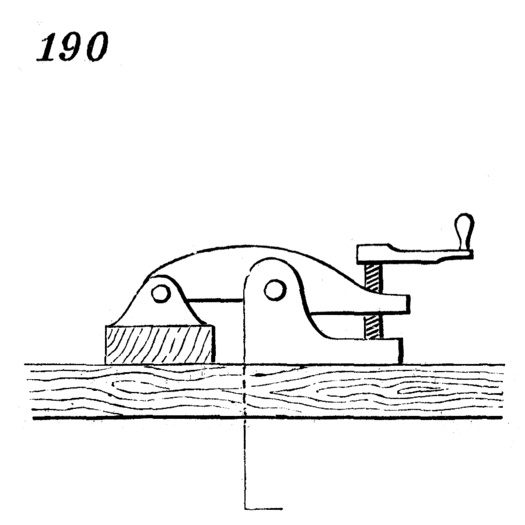 A screw-clamp. On turning the handle the screw thrusts upward against the holder, which, operating as a lever, holds down the piece of wood or other material placed under it on the other side of its fulcrum.